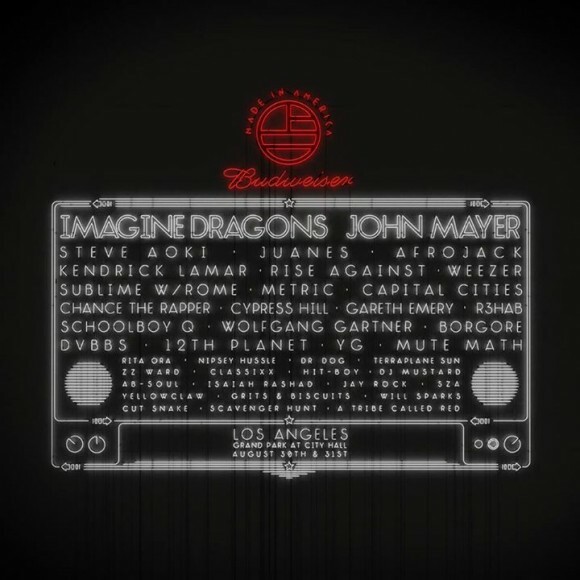 The Budweiser Made in America Festival is three years old, but this year, it’s added a second location. Instead of just holding the festival in Philadelphia, organizers have announced that a separate festival will run simultaneously in Los Angeles on Labor Day weekend this year. The festival, curated by Jay-Z, strives to bridge the gap between hip hop, funk, rock, indie and other genres of music by bringing them all together in one location each summer. Jay-Z and his wife Beyonce have headlined the last two years of the Budweiser Made in America Festival in Philly, and the event has been so successful that organizers decided to expand. The Los Angeles version will be held in Grand Park and is expected to attract at least 50,000 concert-goers. One of the more interesting features of the shows is that they will be held at the same time, and therefore can’t have very much crossover. Steve Aoki does appear on both festival flyers, meaning he’ll be performing at both, probably on two separate days. Gareth Emery and R3hab are also on both lineups. You can check out the Philadelphia lineup here. The expansion of the festival is a marker of success for the event, which has so far gotten bigger each year. The Philadelphia version features three tents at the venue, as well as the usual vendors and other festival staples. It’s not only good for the fans and profitable for the bands; the Philly installment of Made in America generated $10 million for the city and covered the city’s costs of hosting it. It’s no surprise, then, why Los Angeles jumped at the chance to host the event as well. Check out the lineup below. UPDATE: Kanye West and Iggy Azalea join the Los Angeles Lineup for Budweiser’s Made in America Festival. Iggy we will playing on Saturday, while Yeezy will headline on Sunday. Tickets to both festivals are available here.